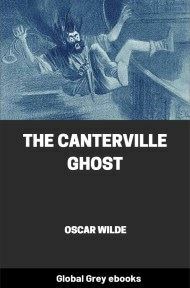 The Canterville Ghost is Oscar Wilde's tale of an American family who moves into a British mansion, Canterville Chase, much to the annoyance of the resident ghost. 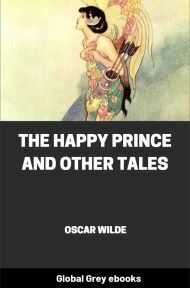 This story has been widely adapted for the screen and stage. 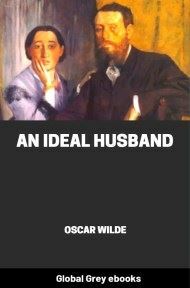 It was the first of Wilde's stories to be published, appearing in the magazine The Court and Society Review in February 1887. 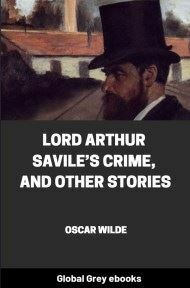 It was later included in a collection of short stories entitled Lord Arthur Savile's Crime and Other Stories in 1891. 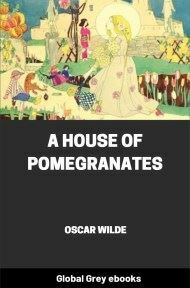 When Mr. Hiram B. Otis, the American Minister, bought Canterville Chase, every one told him he was doing a very foolish thing, as there was no doubt at all that the place was haunted. 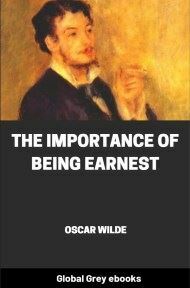 Indeed, Lord Canterville himself, who was a man of the most punctilious honour, had felt it his duty to mention the fact to Mr. Otis when they came to discuss terms. 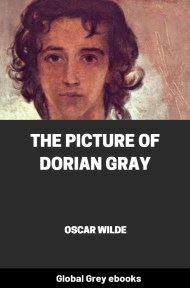 "We have not cared to live in the place ourselves," said Lord Canterville, "since my grandaunt, the Dowager Duchess of Bolton, was frightened into a fit, from which she never really recovered, by two skeleton hands being placed on her shoulders as she was dressing for dinner, and I feel bound to tell you, Mr. Otis, that the ghost has been seen by several living members of my family, as well as by the rector of the parish, the Rev. Augustus Dampier, who is a Fellow of King's College, Cambridge. After the unfortunate accident to the Duchess, none of our younger servants would stay with us, and Lady Canterville often got very little sleep at night, in consequence of the mysterious noises that came from the corridor and the library." A few weeks after this, the purchase was concluded, and at the close of the season the Minister and his family went down to Canterville Chase. Mrs. Otis, who, as Miss Lucretia R. Tappan, of West 53d Street, had been a celebrated New York belle, was now a very handsome, middle-aged woman, with fine eyes, and a superb profile. Many American ladies on leaving their native land adopt an appearance of chronic ill-health, under the impression that it is a form of European refinement, but Mrs. Otis had never fallen into this error. She had a magnificent constitution, and a really wonderful amount of animal spirits. Indeed, in many respects, she was quite English, and was an excellent example of the fact that we have really everything in common with America nowadays, except, of course, language. Her eldest son, christened Washington by his parents in a moment of patriotism, which he never ceased to regret, was a fair-haired, rather good-looking young man, who had qualified himself for American diplomacy by leading the German at the Newport Casino for three successive seasons, and even in London was well known as an excellent dancer. Gardenias and the peerage were his only weaknesses. Otherwise he was extremely sensible. Miss Virginia E. Otis was a little girl of fifteen, lithe and lovely as a fawn, and with a fine freedom in her large blue eyes. She was a wonderful Amazon, and had once raced old Lord Bilton on her pony twice round the park, winning by a length and a half, just in front of the Achilles statue, to the huge delight of the young Duke of Cheshire, who proposed for her on the spot, and was sent back to Eton that very night by his guardians, in floods of tears. After Virginia came the twins, who were usually called "The Star and Stripes," as they were always getting swished. They were delightful boys, and, with the exception of the worthy Minister, the only true republicans of the family. As Canterville Chase is seven miles from Ascot, the nearest railway station, Mr. Otis had telegraphed for a waggonette to meet them, and they started on their drive in high spirits. It was a lovely July evening, and the air was delicate with the scent of the pinewoods. Now and then they heard a wood-pigeon brooding over its own sweet voice, or saw, deep in the rustling fern, the burnished breast of the pheasant. Little squirrels peered at them from the beech-trees as they went by, and the rabbits scudded away through the brushwood and over the mossy knolls, with their white tails in the air. As they entered the avenue of Canterville Chase, however, the sky became suddenly overcast with clouds, a curious stillness seemed to hold the atmosphere, a great flight of rooks passed silently over their heads, and, before they reached the house, some big drops of rain had fallen. Standing on the steps to receive them was an old woman, neatly dressed in black silk, with a white cap and apron. This was Mrs. Umney, the housekeeper, whom Mrs. Otis, at Lady Canterville's earnest request, had consented to keep in her former position. She made them each a low curtsey as they alighted, and said in a quaint, old-fashioned manner, "I bid you welcome to Canterville Chase." Following her, they passed through the fine Tudor hall into the library, a long, low room, panelled in black oak, at the end of which was a large stained glass window. Here they found tea laid out for them, and, after taking off their wraps, they sat down and began to look round, while Mrs. Umney waited on them.